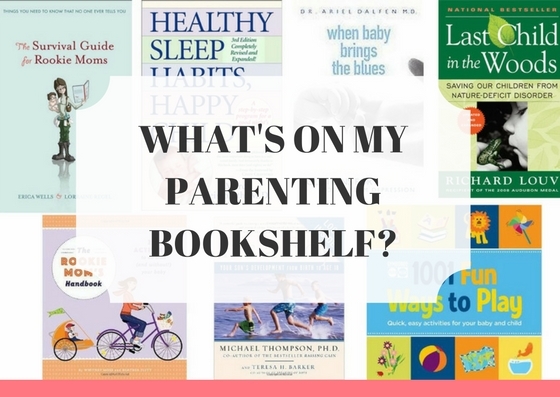 A Splendid Messy Life: What's On My Parenting Bookshelf? There have been many days when I have wanted to scream in frustration at the parenting books on our bookshelves. Days when I have wanted to throw them out the window and burn them in effigy. Yet, despite those moments, there have been many times that these books have also been helpful. It can be nice to get tips from someone who has already been in your shoes and hear what helpful to them. 1. The Survival Guide for Rookie Moms: Things you need to know that no one ever tells you - This was a good book to read for the newborn to age 1 stage. It's full of practical, helpful, around-the-house advice and isn't bogged down with medical terms. I believe this one is unfortunately out of print, so check your library or used books on Amazon. 2. Happy Sleep Habits, Healthy Child -This was the main sleep book I read. I generally really liked their suggestions and advice. As for the sleep training itself, we did the graduated extension/Ferber method that is detailed more clearly in this book. 3. When Baby Brings the Blues - When I was going through PPD my doctor recommended this book to me. I felt better reading it because I could see so many of the feelings that plagued me written down on paper by an expert. It was comforting, acknowledging the difficult parts of motherhood and finding ways to make it better. 4. Last Child in the Woods - I loved this author's heartfelt plea to bring our children back into nature. 5. The Rookie Mom's Handbook: 250 Activities to do with (and without) your baby - The Rookie Mom's website was a godsend during my mat leave. This book includes many of the mom and baby activities described on their blog and would make a cute gift for a first-time mom. 6. It's a Boy - I was nervous about having a boy. I grew up with a sister, so I somehow decided that meant I had no idea what to do with a baby boy. A friend of mine, who was also nervous about having a boy, recommended this book, and I have enjoyed reading about my son's development. 7. Gymboree 1001 Fun Ways to Play - Seb and I went to Gymboree classes for nearly the whole year I was on mat leave. It's not easy to figure out what to do with a 2-month-old; they don't exactly have a ton of suggestions. This book is chock-full of things to do with any little one, newborn to age 5. 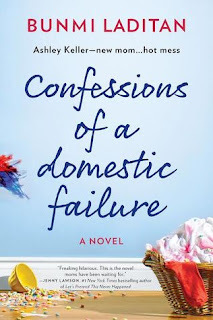 Confessions of a Domestic Failure by a novel by the hilarious and relatable Bunmi Laditan. She's also the voice behind The Honest Toddler. Confessions of a Domestic Failure is the story of one mom trying to find her way through raising a newborn while faced with all of the challenges and trends of modern motherhood. Get ready to laugh and nod your head through this one! 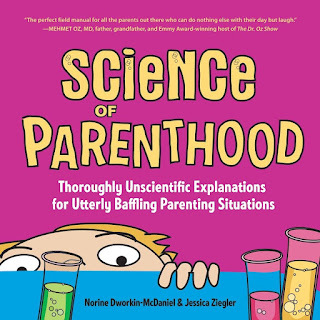 Science of Parenthood by Norine Dworkin-MacDaniel and Jessica Ziegler mixes science and humour to explain all of the mysteries of parenting. This is a super cute book. You can read more about it and take a peek at some of the pages here. 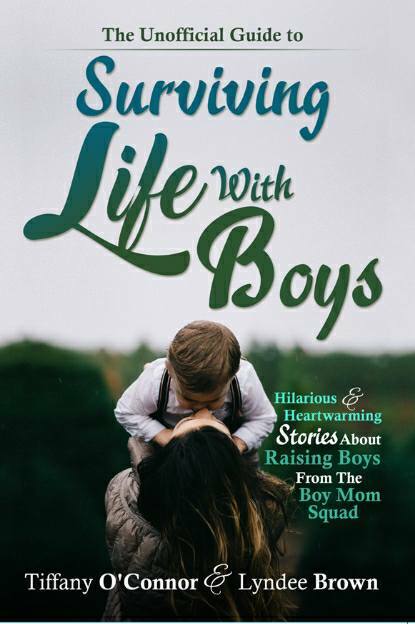 The Unofficial Guide to Surviving Life With Boys is a collection of 35 heartwarming and hilarious stories about raising boys. 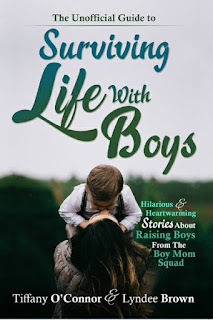 I am so proud to have an essay in this anthology, and I firmly believe that any mom would enjoy the relatable anecdotes in this book. You can read more about it, and about the essay I contributed, here. Did I miss any of your favourites? What is a parenting book that you've found helpful? Or any that you found particularly UNhelpful? The Mother of All Pregnancy Books by Ann Douglas did nothing but terrify the crap out of me, so that's not one I'd recommend.